6 Records Returned 6 Records Displayed. 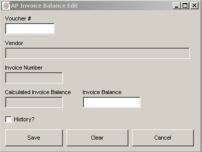 Description: This Vista program updates the job cost record for items purchased to a job if the invoice cost is greater than the received cost and the Update Job Costs flag is checked. Cost is updated without creating duplicate job cost records. Description: Vista does not charge overtime to jobs. This utility allows the user to designate an entry for overtime, which applies the employees labor rate x 1.5 to the job. Accurately allocate overtime to jobs through timecard entry! Description: Vista job split utility which includes the options to split individual assembly or assemblies into a new job, or split quantities first to source or target job. This utility also offers multiple cost splitting options. Description: This bundle provides better handling of your purchase price variances! 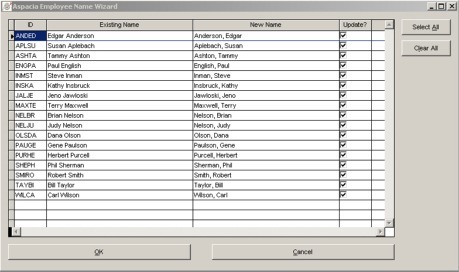 The utility automatically updates the existing job cost record for items purchased to a job without creating multiple job cost records like the current Vista system does. Description: Users of FoxPro versions of Vista can schedule unattended database optimizations to improve system reliability and performance. This utility can be run with users in the system and logs all of its activities.